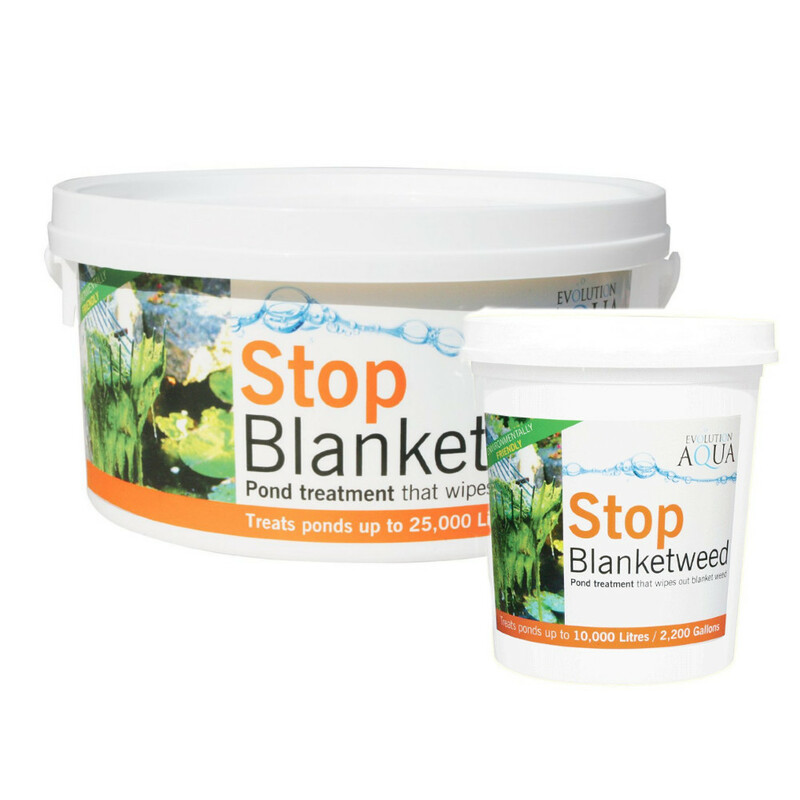 Evolution Aqua STOP Blanketweed is an effective pond treatment for algae. 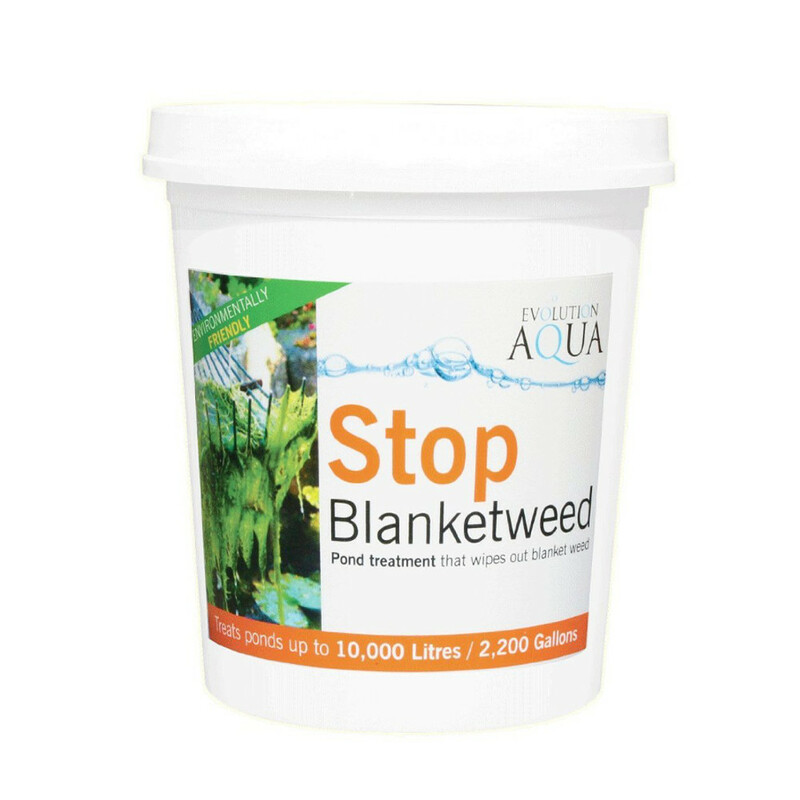 The Cleartech Stop treatment is effective against filamentous algae, known as blanketweed. 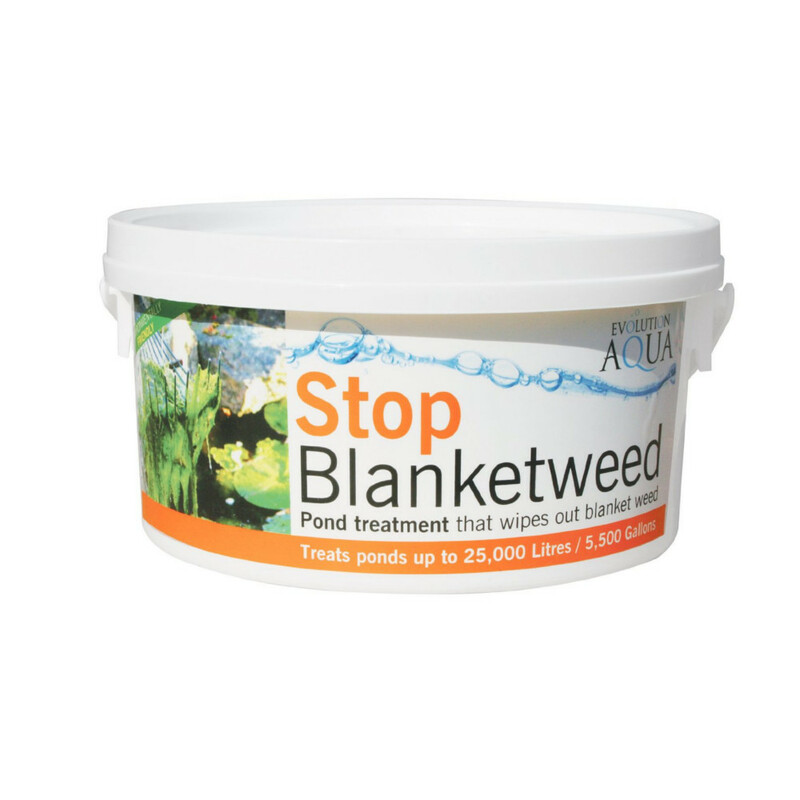 When blanketweed forms on a pond it can look unsightly and can cause damage to the ponds pump and filter system. This in turn can reduce their effectiveness and ultimately cause a breakdown of pond equipment. STOP Blanketweed is quick acting and can easily and safely remove the blanketweed without presenting any danger to the fish or natural plants within the pond.